VELCA RACKING SYSTEMS Pvt. Ltd. is a leading manufacturer and supplier of all types of adjustable Display Solutions for Hyper Markets, Supermarkets, Departmental Stores, Electronics Showrooms and Garments Showrooms as per the Customer’s specifications. Adopting ethical business practices and aggressive marketing strategies, the company has established an esteemed reputation in the retail sector for its quality products & on time execution of store display projects. We strongly believe that using top quality retail displays and shelving systems one can draw the attention of customers more easily. And keeping this concept in mind, we started fabricating various tailor-made shelving systems in accordance to the global quality norms. We also provide a complete package of product storing solutions, which include the initial store planning, product-wise display racks & fixtures and on-site installation of these (from flooring to ceiling), as per the specific need of our customers. The prime objective behind our overall business transactions is to create a user friendly store racks and shelving systems that could make shopping a delight for general customers and a easily handled operations for the store keepers. Good Product Merchandising also remains at our prime business motive. Super Market Shelves: Wall Racks, Gondolas, End Caps, Fruit and Vegetable Racks, Magazine Racks, CD/ Cassette Display, Library Racks, Wood / Steel Slot wall etc. Garment Shelving:- Wall Fixing Channel Single/Double Slots, Wooden Shelves / Glass Shelves, Hanging Rods (Hooks) Heavy Duty Brackets, Hor Bars, Inclined Face Hangers, Straight Face Hangers, Four Way Arm Racks, H Type multipurpose Racks etc. 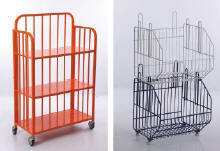 Pharma Display, Electronics Display, Shoe Racks etc..
Wire Storage Products: Stackable Baskets: Shopping Trolleys, Promo Bins (Squire Bin Baskets), Shopping Baskets, Broom Stands, etc. The manufacturing unit of the company is outfitted with latest machines and equipments. The workforce of the company encapsulates engineers, technicians, designers, supervisors, research staff, quality analysts, Marketing Team, amongst others. Our R&D staff continuously develops new methods of production so that our products remain at par with the latest trends prevalent in the industry. The warehouse of the company is extremely spacious and can easily accommodate even the bulkiest consignments very comfortably. Velca Racking Systems Pvt. Ltd Company has grown to be a trusted and respected name in the retails industry. 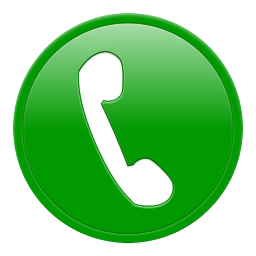 Our head office in Gurgaon and our sales office and warehouses in Bangalore & Kerala and our sales team throughout the India are able to respond quickly when a vital piece of products requires urgent attention. 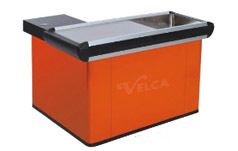 Velca supply brand new and high quality product at highly competitive prices. Please feel free to contact us with your requirements.